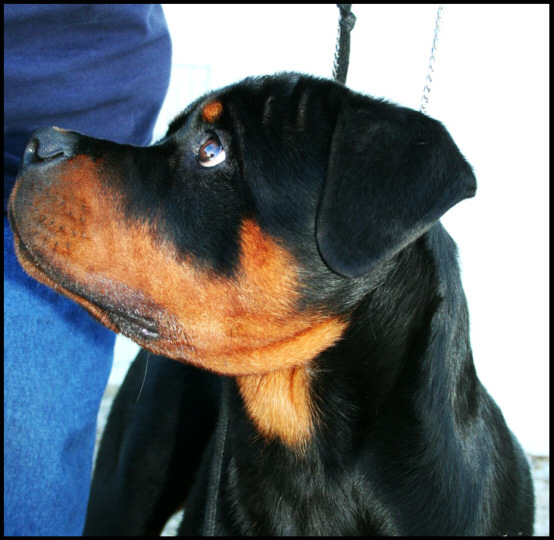 Right out of the litterbox, Gates has proven to be our fourth generation of "Fabulous Baker Boys". Gates has been a real "Show-Stopper" every since he's entered the ring. 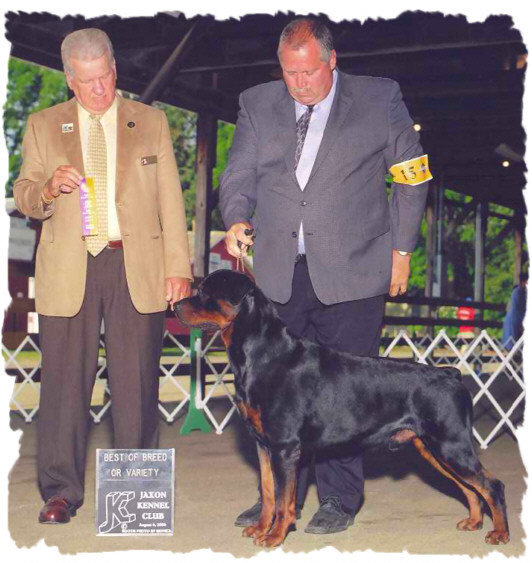 BOB over top specials, BPIB, Puppy Group 1, WD & BOW major at the ARC spec. 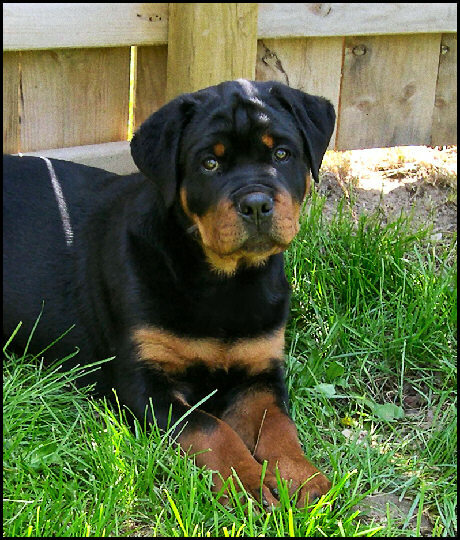 in Milwaukee, is just a few of his many starring moments as a puppy. 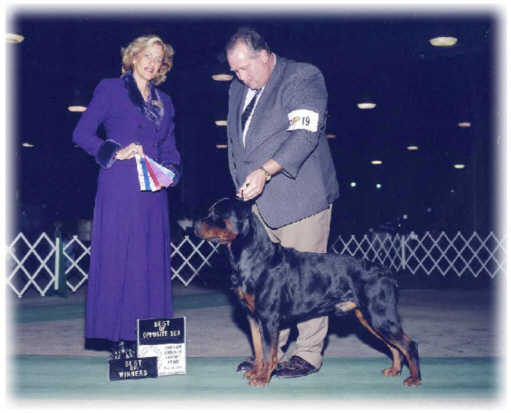 As a special, he has taken Multi-BOB/Group Wins & Placements. 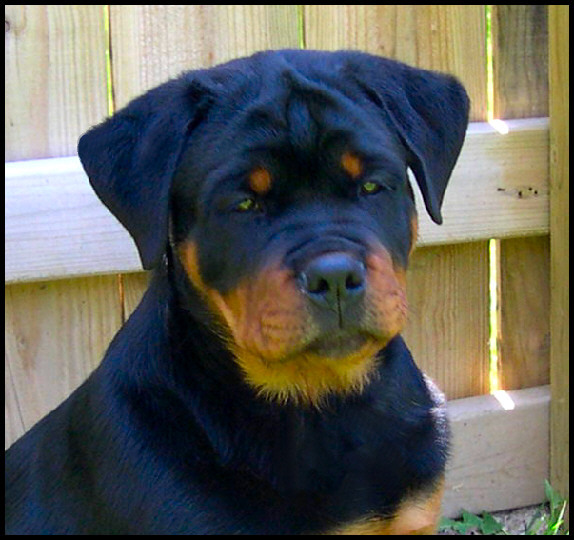 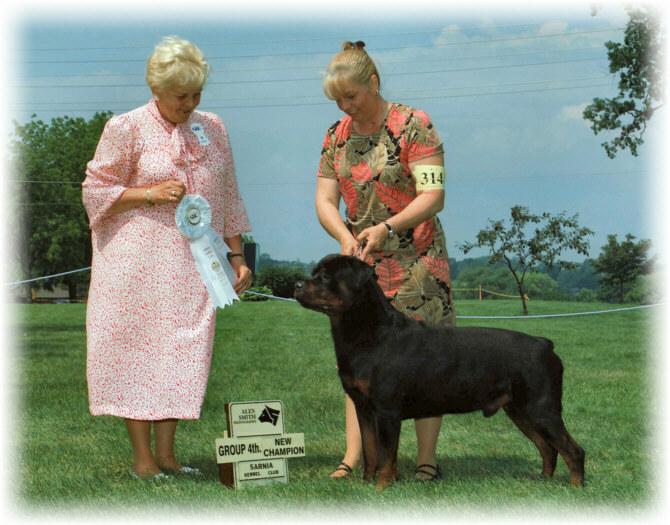 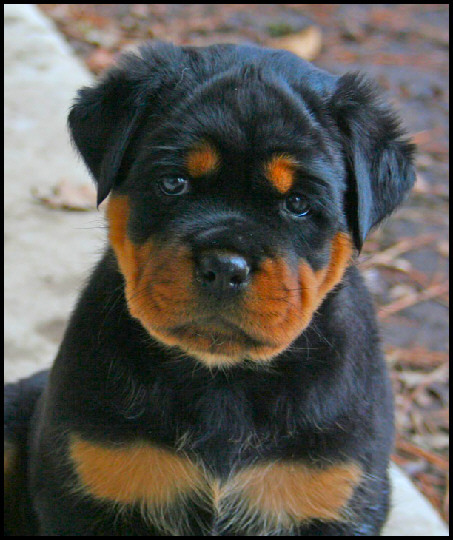 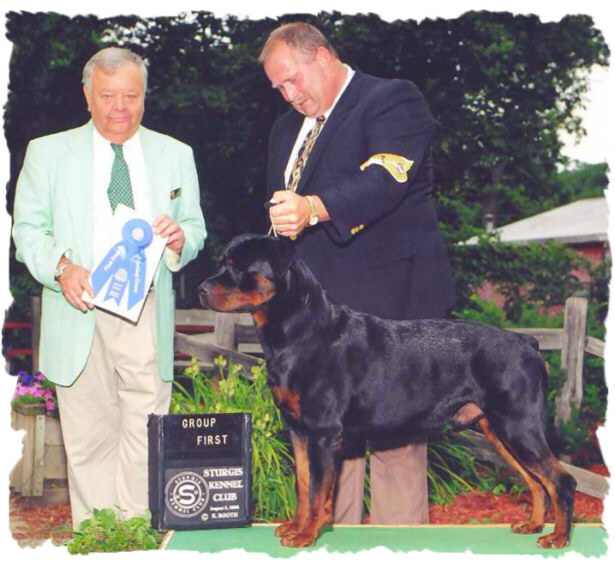 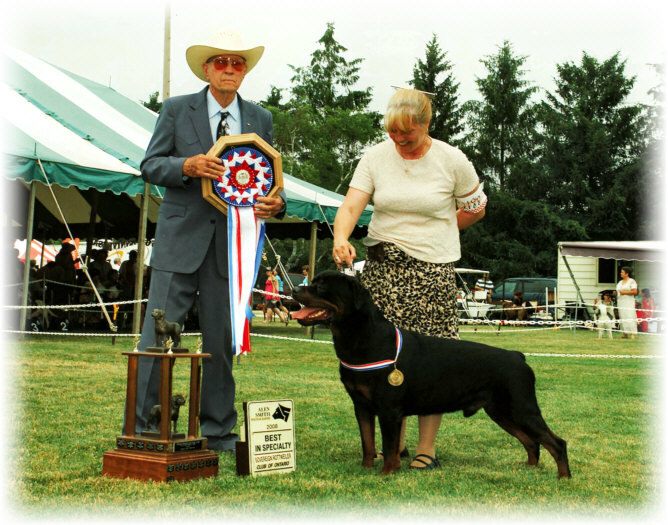 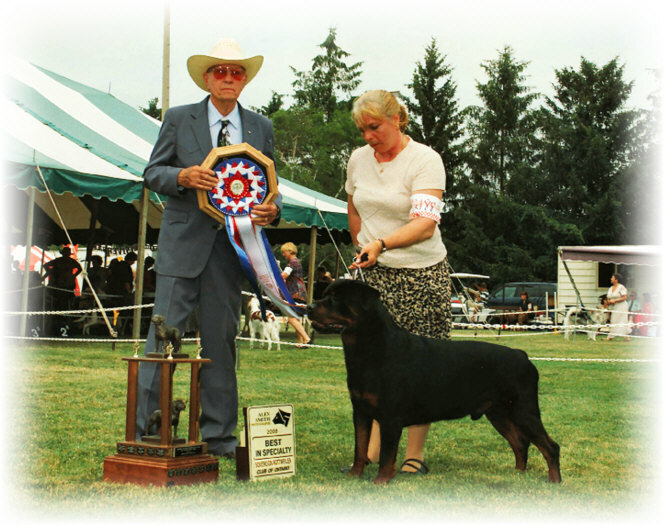 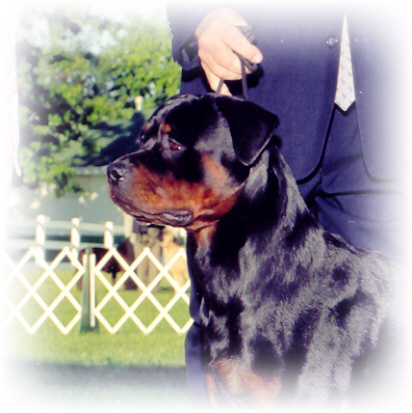 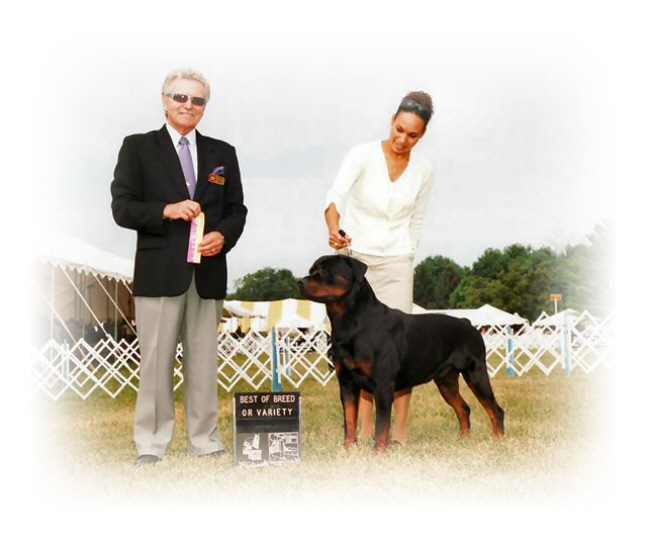 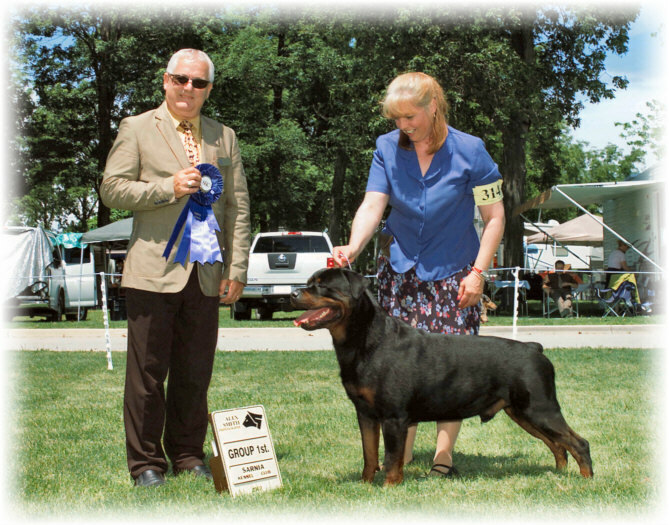 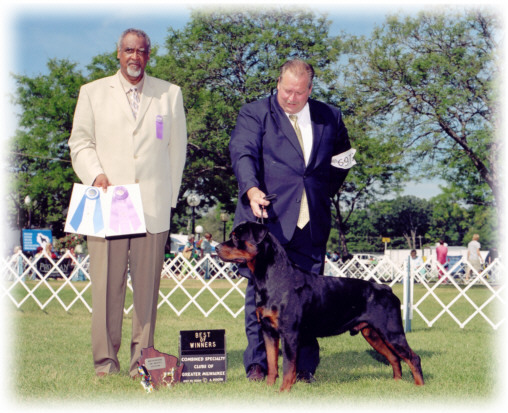 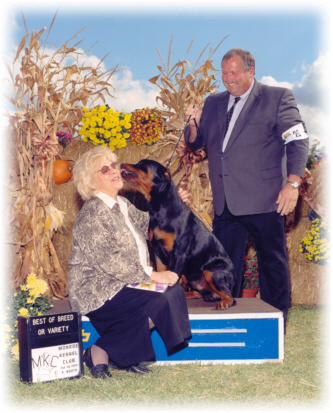 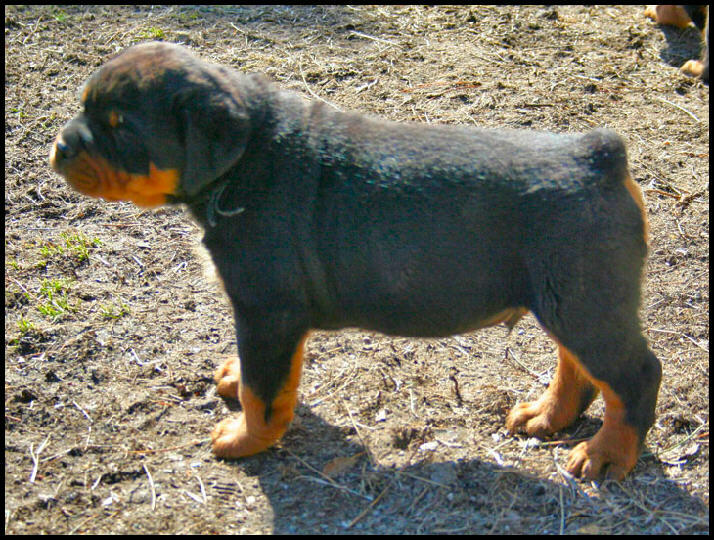 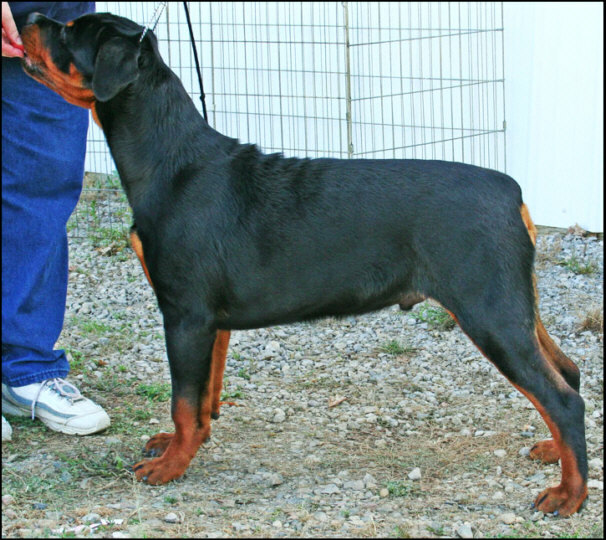 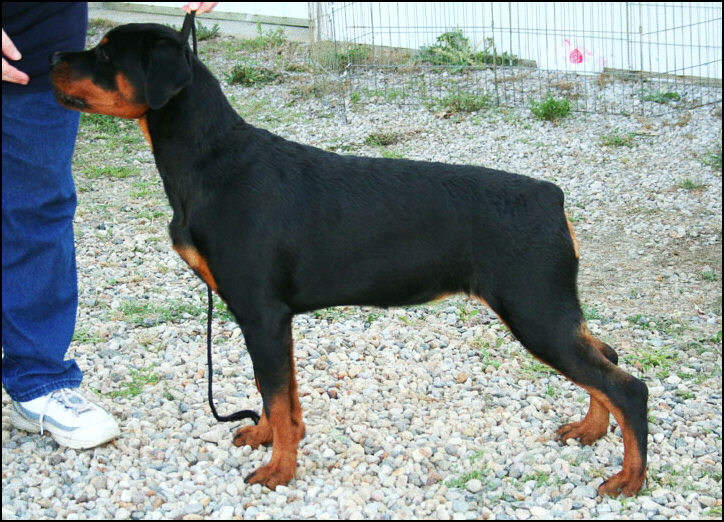 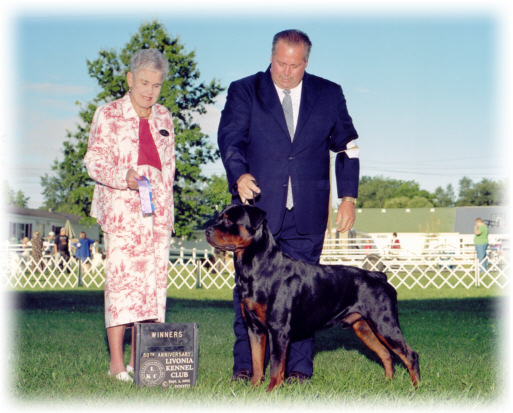 In July 2008, Gates made "Smashing Headlines" when he finished his Canadian Championship in 1 weekend with Group Wins & Placements then continued on to take a Best in Specialty Show (BISS) at the Sovereign Rottweiler Club of Ontario. 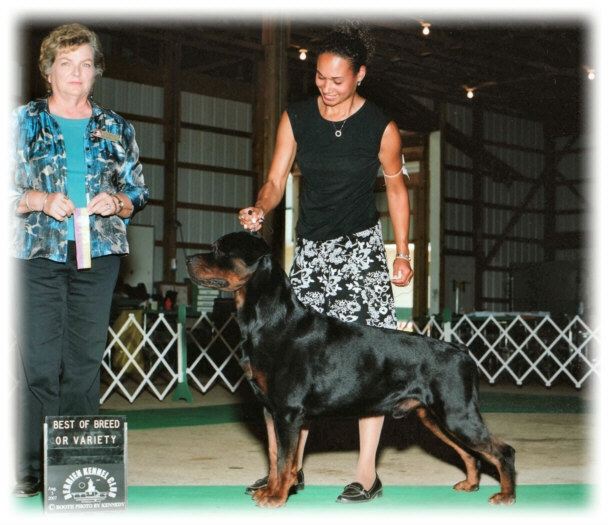 We are sure there is more too come with this "Fabulous Baker Boy!"